Traveling by plane is a great experience but there is rarely much to see, traveling by car requires a driver, by bus requires patience and water travel is not for everyone. Rail travel on the other hand is a completely different experience, sat in luxury surroundings you can cut through the countryside as you relax into your seat, traveling at high speed in comfort, taking in some breathtaking scenery. 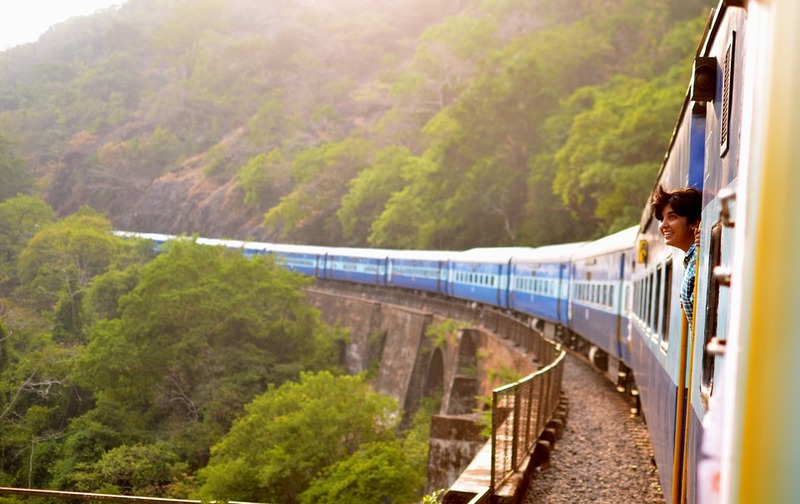 Rail travel isn’t just about getting from A to B and around the world there are some incredible rail travel experiences and here are just a handful of our favorites. We begin our list in Canada with a train which will whisk you through some of the world’s most incredible mountain scenery. The trip takes you along the Canadian Pacific route, through the Rocky mountains and right into Western Canada. It is not just the splendour of the mountain range which you will catch a glimpse of onboard the Canadian Rockies train but also the chance to see plenty of wildlife from grizzly bears to bighorn sheep. If you want to splash out a little then book on the GoldLeaf carriages which have glass domes to look out from. From the gargantuan Rockies to the quaint and vintage rail experience which is the Talyllyn railway in Wales. The train is powered by a coal-fired engine and will casually take you around the 14.5 mile route at speeds of around 9 mph. For what this trip lacks in modernity and pace it more than makes up for with the breathtaking Welsh scenery which will leave you in awe of your surroundings. Wales is well known for its rich valleys and diverse landscapes and this is the train which will show it all to you. Russia’s Golden Eagle is the rail experience of a lifetime which will take you through the Siberian wilderness and the spectacular countryside here. Not only is the scenery enough to convince you to buy a ticket, this is a train which is considered as one of the world’s most luxurious. Even the budget cabins here are adorned and decorated as though you were in first class and the service is of an incredibly high standard for guests. This is a truly wonderful way to travel through Siberia from Moscow to Vladivostok. The Blue Train in South Africa not only offers you the chance to see the very best of the country, it has also earned a great reputation for its hospitality and its high class food. The route is a 994 mile journey through the heart of South Africa’s wilderness, the train moves at a slow pace which means that you won’t miss a single vista, animal, valley, canyon or mountain on this trip. Despite its high level of luxury this is one of the most affordable train trips on this list, yet another reason to indulge. What is your favorite rail travel experience? Let us know in the comments section below, we’d love to hear from you.